While information structure has traditionally been viewed as a singlepartition of information within an utterance, there are opposing viewsthat identify multiple such partitions in an utterance. The existenceof alternative proposals raises questions about the notion ofinformation structure and also its relation to discoursestructure. 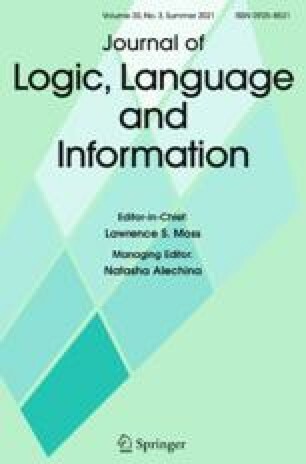 Exploring various linguistic aspects, this paper supports thetraditional view by arguing that there is no information structure partition within a subordinate clause. 1.Department of Computer ScienceThe College of New JerseyEwingU.S.A.